Eden was adopted at birth and due to choices made by her birth mother has brain damage, asthma, autism and will someday need a cornea transplant. Kay shares how God revealed to her early in Eden’s life that although her body is damaged, her spirit is perfect. 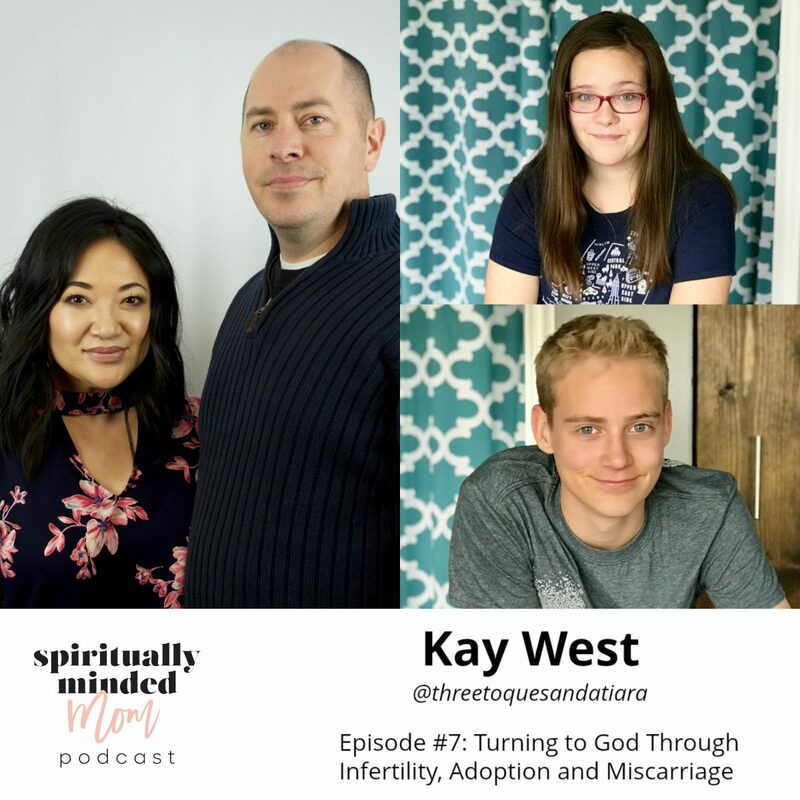 Kay also discusses how Eden’s condition has affected her other child, Isaac. One of the good things that has come from Eden’s experiences being bullied is Kay and her husband have helped their children start an online shop called Quietly Being Kind. The shop features postcards with Eden’s artwork and kindness quote that can be purchased and sent to others as a reminder to be kind. Kay’s children share a portion of the proceeds of the shop with an organization that helps children. They also hope to feature other children like Eden to help raise awareness of the importance of showing kindness. 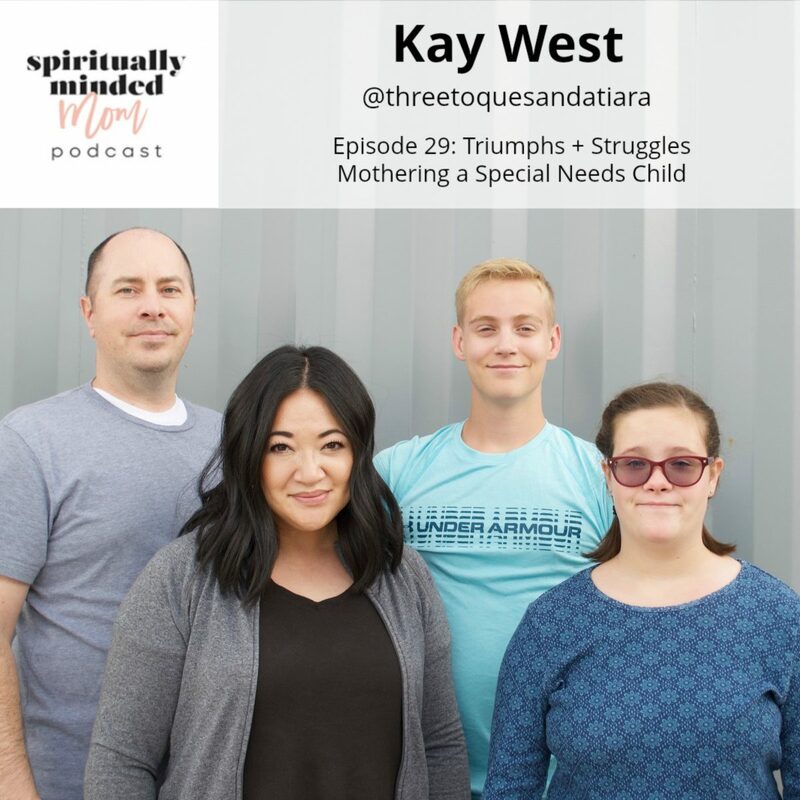 Kay’s journey of raising a special needs child has not been easy. Although she doesn’t always see it in the moment, Kay can look back and see God’s hand guiding her in motherhood. She knows He didn’t send any of us here to fail. As long as we keep trusting Him, he will open the path. To purchase postcards and find out more about the mission behind Kay’s kids’ shop, go to Quietly Being Kind. At your convenience, call this number 480-525-7145. Feel free to share a specific story or experience. Please keep your answer to under 3 minutes so I can share as many answers as possible. Submit your answer/message by Sunday, October 28th. If you’re hearing or reading this after the deadline, call the number anyway to hear the current question and give your answer. Adoption is a common theme in Jori Reid’s motherhood story. She has not adopted a child, but Jori herself was adopted at the age of 6 months. Her adoption was closed, and she never knew anything about her birth mother, but because of her birth mother’s decision to place her for adoption, Jori enjoyed an amazing childhood filled with love and support. Many questions about her birth parents were unanswered growing up, but Jori learned a lot about what her birth mother must have gone through when Jori herself was a 20-year-old college student with an unplanned pregnancy. Adoption is not for everyone, but Jori knew it was the right decision for her and her unborn baby. She tells how she came to this decision and gives advice to those considering placing a baby for adoption. 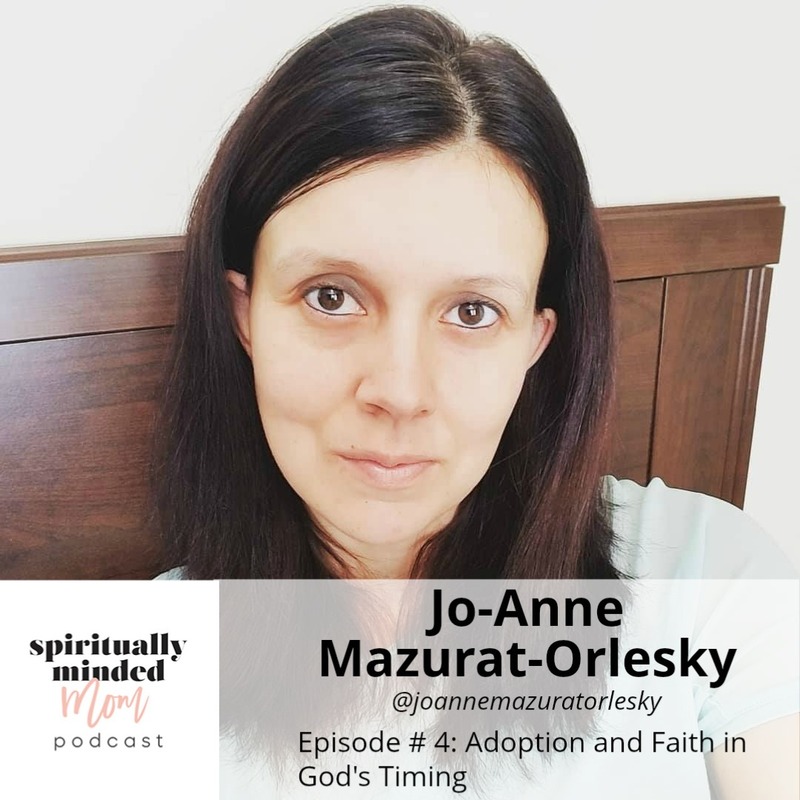 Jori wholeheartedly believes that “adoption is about love.” She shares both the grief and blessings, including finding her birth mother, she felt after placing her baby and how having an open adoption has helped her to heal. Although Jori is now married and she and her husband have four children of their own (including twins and one baby that came as an unplanned home birth! ), Jori knows “being a mother doesn’t mean you have to give birth.” She is grateful to her own birth mother. 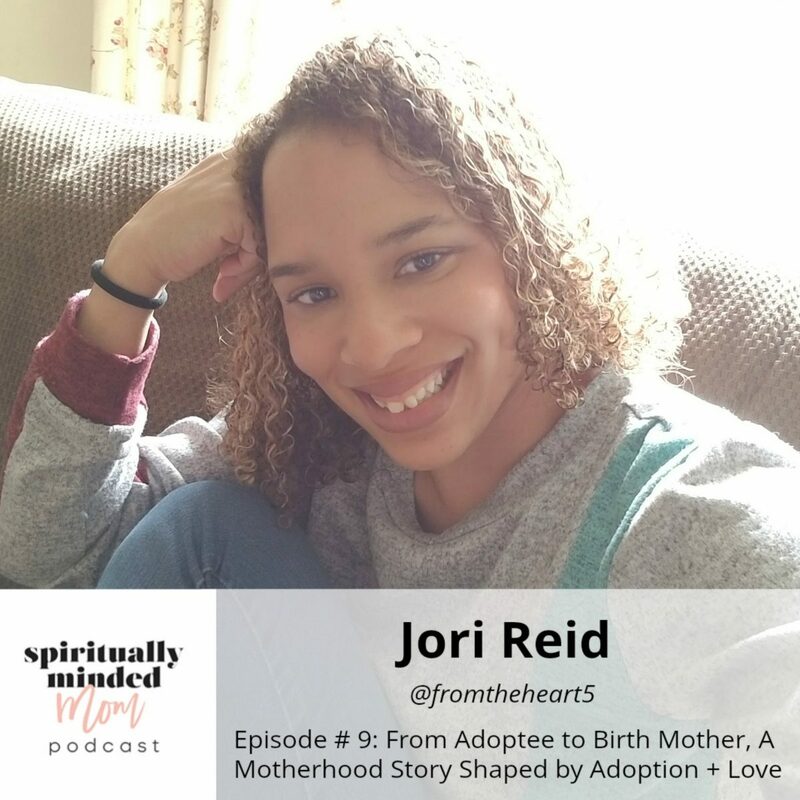 Jori knows she has been blessed by her decision to be a birth mother and help someone else become a mother. Her story is a beautiful example of the love, sacrifice, and faith of motherhood. In 2013, Jo-Anne Mazurat-Orlesky went on a 1-week mission trip to Haiti that changed her life. She openly admits she went on the trip just to say she did it, but during her time in Haiti, her heart was changed. She knew God was calling her and her family to return to Haiti as missionaries. Soon the Mazurat-Orlesky family landed in Haiti with 10 suitcases and no definite plan on when they would return to their comfortable home in Canada. In this interview, Jo-Anne discusses how she helped her children navigate the poverty, malnutrition, and abandonment they saw everywhere in Haiti. She also shares the way God led her to care for the children around her in Haiti. Ultimately, her family became bonded with three siblings they eventually sought to adopt.